Digital Signage is an application used in a variety of establishments and public spaces across the globe. Employed by transit systems, college campuses, retailers, and more, the convenience and accessibility offered by these units is unparalleled. The content displayed with the assistance of digital signage is broad and varied. Scrolling text is one of its most common features, as well as strategically updated text, made possible with the use of an external newsfeed resource. Digital Signage players may also transmit images, which, like text, appear in a scrolling format. Videos and interactive interfaces may also be displayed, the latter of which is ideal for engaging users and provides for additional interactivity. Typically, a digital signage system consists of a multiple components. These parts include a display screen, a media player, and a content management server. Digital signage players may be used in conjunction with a range of operating systems, such as IOS, Windows, Android, and Linux. Digital signage products serve a wide range of industries and applications, and are commonly used to broadcast public information, internal information, menu displays, and brand building purposes. They are frequently employed for advertisement purposes as well, and allow for information and displays to reach a broader audience. They may also be used to enhance a retail environment, as well as the overall customer experience, via interactive screens and demonstrations. At ICP America, we offer a wide range of digital signage players and video wall controllers. These multimedia devices provide consumers with the ability to design and broadcast one-of-a-kind digital signage displays. Our video wall controllers are ideal for use against a wide variety of platforms and media. ICPs digital signage players are high quality systems offered in a range of forms. 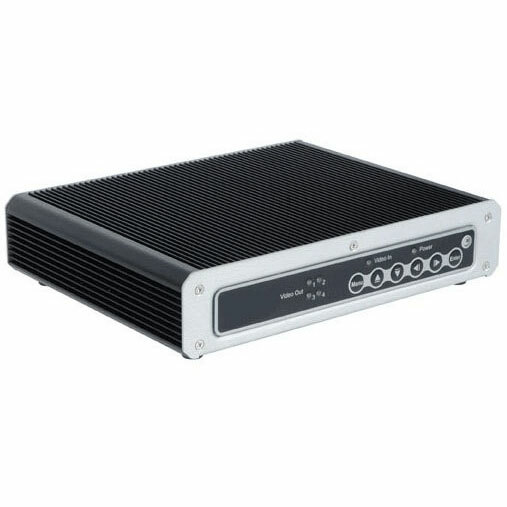 The iS-1600 is a fanless and compact player, optimal for 24/7, round-the-clock operation. With its Intel Sandy Bridge processor, the iS-1600 offers playback of complex and intricate layouts across a range of media, including flash, RSS, and H.264 high caliber video images. The iS-1650 is an Open Pluggable Specification (OPS) industry-compliant module that equips the fast digital signage player deploy with an OPS-ready monitor. 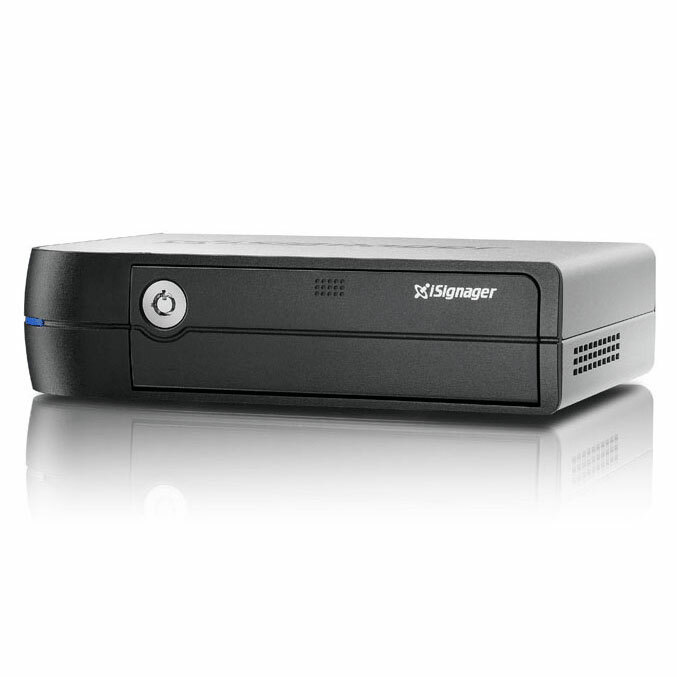 Like many of our digital signage players, the iS-1650 offers playback capabilities to a variety of media. Our iS-2800 digital signage player is an efficient and powerful output signage player, and offers remote management and troubleshooting for up to 100 players. Our video wall controller, the iVW-UD322, is equipped with a DVI-D single link output, as well as a DVI0D input. It utilizes GeniMask bezel masking technology, and supports a variety of display modes. Additionally, if offers non-scaling, pixel-to-pixel mapping and high-resolution display content for both input and output. ICP America has maintained its status as one of America's premiere computer innovative designers for over 25 years. Because of their unique and advanced features, our digital signage equipment is able to provide a wide range of businesses with efficient, user-friendly services. For more information on our LCD products and panel PCs, please refer to our catalog, or contact us today.